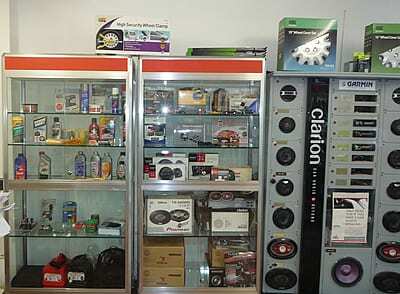 You will find an extensive range of motoring products and accessories at our showroom in Addlestone. Motor Mate has been a Thule dealer for over 20 years, and we are also proud to supply products from Witter and Westfalia. In particular, Motor Mate is known for its expertise in Tow Bars and we can advise you on which tow bar is best for your car. 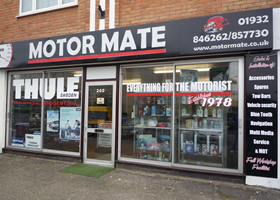 Motor Mate is one of only 180 Thule Partner Dealers in the country. As such we have ongoing training with Thule keeping us up to date with all its products. Thule, based in Sweden, is a respected and well known name in the motor industry, designing and manufacturing products made to the highest quality and built to last. The Thule products have Type Approval compliance and a 3 year guarantee. 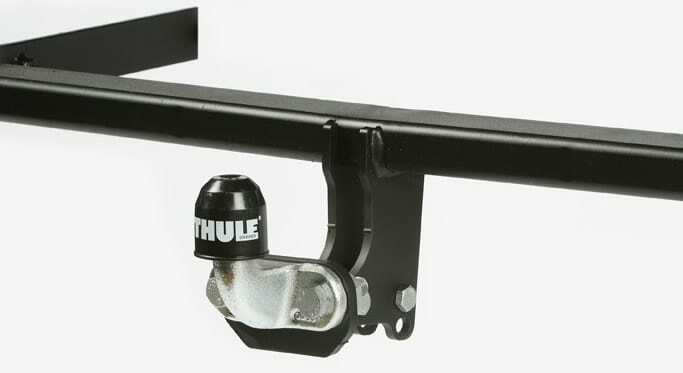 Thule also offers an excellent after sales service with spare parts available. We carry a range of Thule roof boxes in our showroom. Come and choose from a wide selection of different styles. The roof boxes are all high quality and well designed. We stock predominantly Thule and Witter cycle carriers. Our big selection includes the user-friendly tow bar mounted carriers, which we can demonstrate for you in store, and the boot or roof mounted carriers. See our wide selection of Thule designs including carriers for water sports equipment, such as canoes and kayaks, and also winter sports, suitable for snowboards and skis. We also stock snow chains for your tyres. Our huge range of accessories includes car repair items and spares, radio and audio systems, bluetooth kits, sat navs, parking sensors, and vehicle security products including van door locks and alarm systems. We also stock car care and valeting products, and we are a Gold Star stockist of Autoglym car care products. We are licensed by the DVLA to make number plates or repair damaged ones. We can provide plates in standard and non standard sizes. We also make personalised number plates.